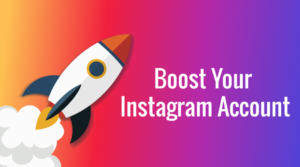 With over 500 million daily active users, and about half of that number using Stories, Instagram trends help marketers engage both current and prospective customers. Due to its highly visual structure, the platform excels at facilitating brand stories. This has drawn more and more businesses to consider it a core part of their strategic marketing initiatives. As the platform has experienced user growth, it also encourages a dialogue between businesses and their audience. People engage with brands on the channel more than any other platform. Over the past year, the platform changed significantly. First, influencer posts doubled in 2017. Second, the platform adapted elements to meet user’s demands. Finally, businesses capitalized on services and features that help connect customers to a sale. 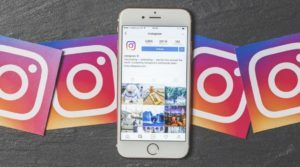 In 2018, smart marketers will use the Instagram trends for 2018 to build brands and generate sales. 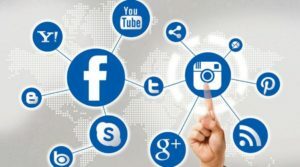 Now that the platform has made it easier to add and switch accounts, businesses have begun to adopt them. This trend allows groups to diversify their message strategically. While not all organizations benefit from using multiple accounts, we’ve listed the top reasons to consider using them. If your business operates in multiple locations, either in the United States or around the globe, you may want to add separate accounts. 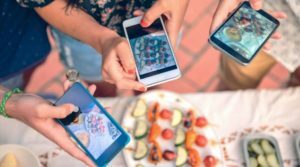 This allows you to take advantage of geographically based elements, like geotagging, local hashtags and micro-influencers. Also, each account can promote offers specific to that region. Sometimes, your various products or services speak to different audiences. For example, business-to-business (B2B) and business-to-consumer (B2C) messages are completely different. Separating these topics into separate accounts helps you attract the right followers through message consistency. If your business services distinct audiences with different cultures or languages, separating those accounts allows you to tailor posts accordingly. Also, it helps avoid confusion. You won’t be switching the focus to speak with different groups. When a business starts social media accounts, the tone often defaults to the founder’s voice. As the organization grows, you may find that the brand needs to evolve. Separating leadership accounts from the brand account doubles your platform while keeping the voices distinct. Currently, over 25 million businesses use the platform. Because of the highly visual nature of the channel, smart brands prefer it as a way to deliver messages straight to their customers. Both paid and unpaid posts are growing, with about one million advertisers paying to boost posts each month. As Facebook considers changing their algorithm, businesses may find a shift in engagement on the content they promote. In light of this, the social media channel has become a more attractive option for creative, shareable content. 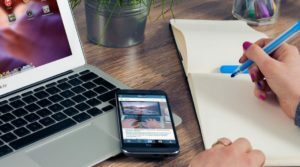 Below are the top ways that businesses can use these features to the fullest. Although maintaining another account may feel like a burden for marketers, consistent posting builds engagement over time. Each post should revolve around your brand’s visual guide. When visitors find your account, they should automatically associate it with your brand. Making a new hashtag is easy. Getting others to use it is not. Create a solid hashtag plan that users will want to follow. Often, the best hashtags connect with follower’s natural interactions. Here’s a great article on how to choose instagram hashtags for photography. Strategically using paid influencers can boost your audience. Watch the top accounts in your industry and consider engaging them. Paid posts help you target people who do not follow your accounts. If you are looking to build your audience quickly, promoting your account can expand your reach. Although your posts should mix the hard and soft sell, you can link posts to your shop. 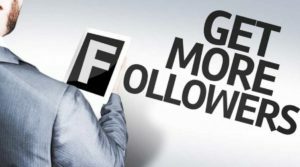 Use this feature to connect followers to sales. Referred to as “The Follower Factory,” this controversial practice relates to both businesses and individuals. Aspiring influencers often buy followers to boost their credibility. Similarly businesses pad their follower count to make them appear more popular. If you want to identify whether an account’s followers are real or genuine, the following tips can help you spot fakes. When an account buys followers, their numbers jump immediately. To track this, several software services track followers on accounts. This allows them to flag users that experienced an increase from a paid service. Clicking through followers can help you determine whether they are real people. Fake accounts often follow many users but, don’t have any of their own followers. Also, they tend to have few posts that are loaded all at once. This weird activity signals that the account isn’t owned by a real, engaged person. Comments from bots are typically spammy. They lack the genuine reactions of real people. If the comments are full of insincere flattery or awkward phrasing, the account probably has paid followers. Real followers engage with accounts because they love the content. So, they are prone to like posts and comment. When someone buys followers, their follower count increases. However, their post engagement does not. If you see lots of followers but few likes, the account probably used a paid service. Instagram trends stem from a constant improvement of sharing features. They are highly attuned to their users and strive to develop a platform around user interest. Most of the changes involve sharing and many are great options for marketers. Recently, Giphy built a library of transparent gifs just for the platform. They can be overlayed on photos or videos like stickers. This allows users to save their stories after they’ve expired. Think of it like a collection that you can build using archived posts. Now that the platform has gone live, users can join during a session. This makes them a guest as part of the live stream. So interactive! If you share an image in DM, the recipient can use the remix feature. When replying, you can alter the image with stickers, drawing, cropping and more. Users can now follow specific hashtags, not just accounts. This powerful feature may completely change our feeds in the future. The platform announced that this feature may be coming soon. You won’t need to use a clunky download and upload process, or a third-party application. Instead, users should be able to repost and credit with one click. The Insta team is considering a rights manager to help with credit and intellectual property. If they roll this out, it may seriously change how brands post original content. Although the Insta team hasn’t launched this yet, the change is expected to mirror Facebook’s recommended posts. It is sure to impact user behavior. Positive or negative? We’ll just need to wait and see. As soon as the platform linked to Snapchat filters, users adopted them. The process is simple and the results are noticeable. 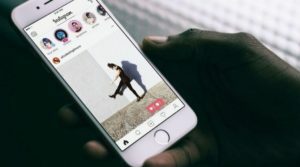 While it might not indicate the death of Snapchat, it certainly connects the social media channel to yet another platform. Like Facebook, it is quickly becoming a user-friendly hub for building a brand. Get the most out of your Snapchat account by bringing the best posts over. Below are the top ways that linking the accounts benefits business. Snapchat remains one of the quirkier social media platforms. Most accounts are not as polished. So, adding a personality-packed Snap to your Story can showcase the brand’s personality. If you sponsored a geofilter on Snapchat, you can migrate it over to your grams. Get more out of your purchase by linking these. 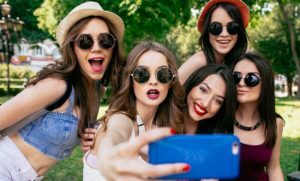 Some influencers are more active or popular on Snapchat. If you sponsor someone on Snapchat, you can still push their content to your audience. Although both platforms have live stream option, you don’t need to run both. Just use one as the main host and push to the other. 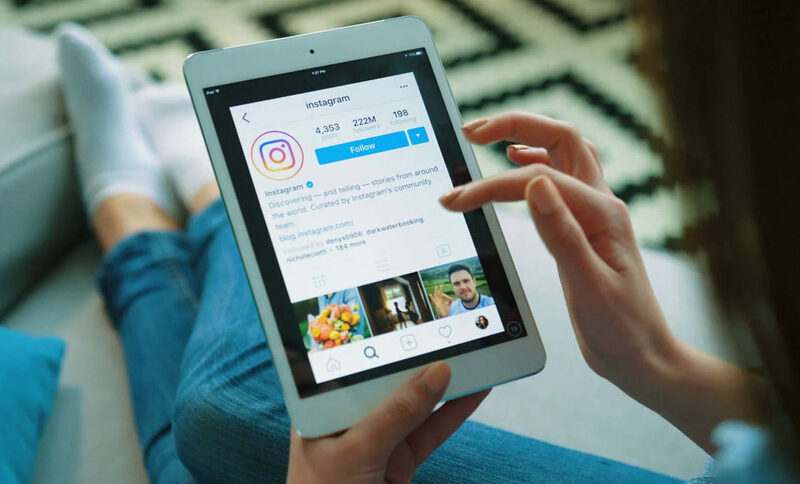 Over the past year, the Insta team has strategically augmented their platform to benefit brands. Smart marketers will use these trends to boost awareness and find new customers. Each of the tips above can help you push your account to the next level of engagement and profitability. We always like to hear what our readers are doing to promote their business. What Instagram trends for 2018 are you using the most? Tell us your top challenges and practices in the comments.